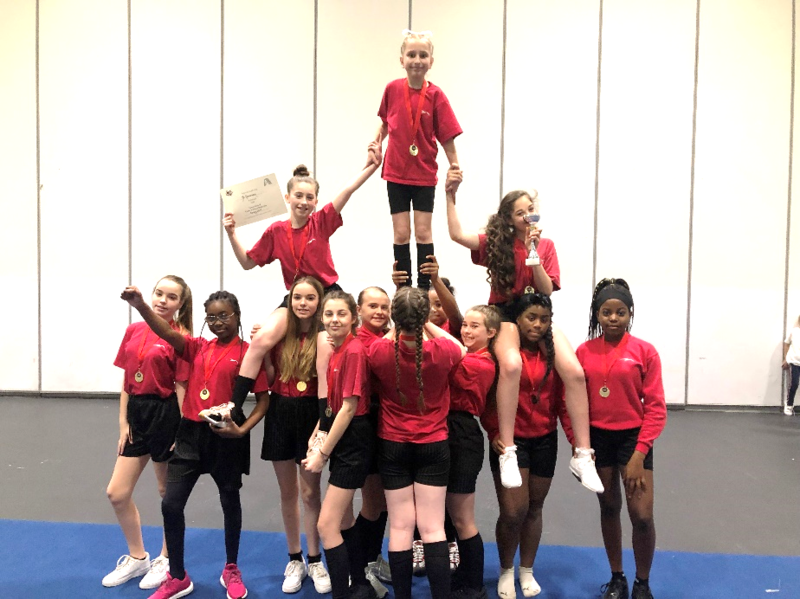 On Friday 22nd March the JRCS Cheerleading squad participated in the Talent Central Spring Showcase at the ExCel Centre, London. The JRCS Wolves have been preparing for the event since January and have spent hours practicing their routine with Sammy the Ascension Eagles cheerleading coach to ensure they were competition ready. On the day the girls performed fantastically and were awarded the Gold Award for their high energy and well executed routine. The squad are looking to recruit new cheerleaders in the Summer term and will be in assemblies to talk about the club and perform their competition routine. Cheerleading Club will recommence on 24th April 2019 and the sessions run every Wednesday in the Sports Hall from 2pm – 3pm. Lilly O’Brien 7I, Mae O’Brien 7D, Milly Emery 8E, Molly Flaxman 8H, Harley Rogers 7H, Jasmine Hunter 8B, Radvile Padelskaite 7B, Asharni Blake 7G and Ifeoluwasimi Sotannde 7F.